Information below courtesy of Lake Wicwas Association and the New Hampshire Department of Environmental Services. 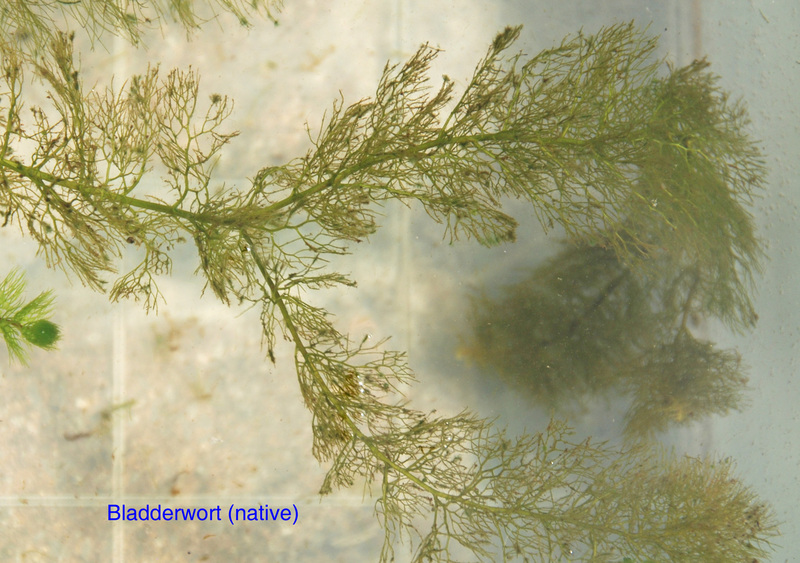 Two common native weeds, which are prolific and often mistaken for variable milfoil, are bladderwort and elodea. Although lay-person reports of possible milfoil sightings are encouraged and gratefully received by the Weed Watcher and Lake Host team members, the more accurate these reports are the less time is spent investigating mistaken sightings. 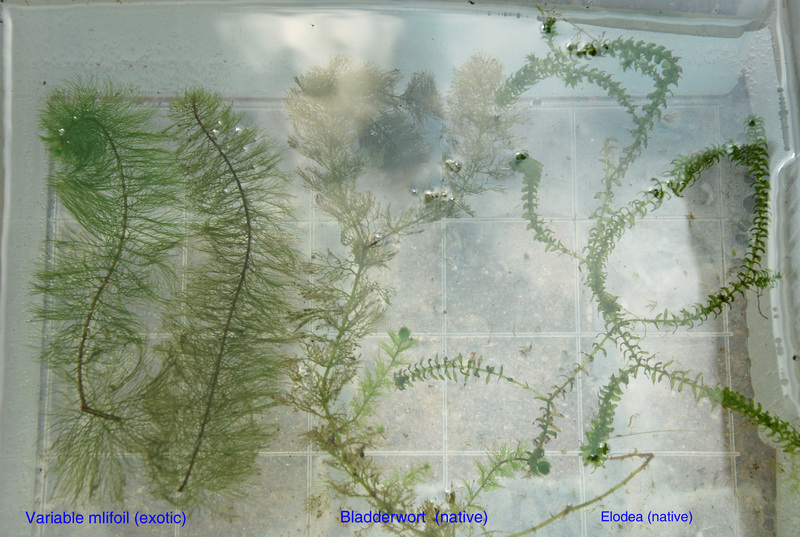 Below is a photograph showing variable milfoil, bladderwort and elodea side by side in water as they would be seen from a boat or kayak, followed by a detailed photograph of each of these three weeds. Click any of the pictures for a larger view. 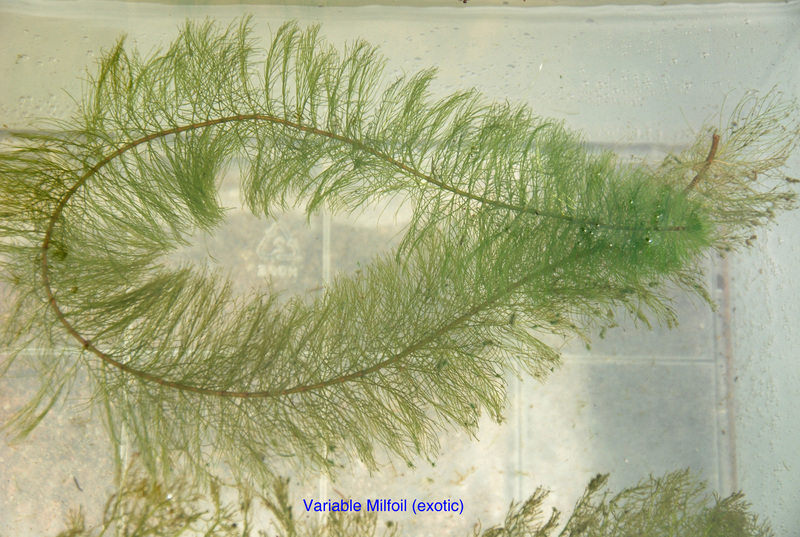 Note the size of the foliage on the variable milfoil. It is considerably larger than that of the bladderwort and has each single strand emerging directly from the stem while the foliage of bladderwort is much more branched. You may also be able to see the small bladders on the foliage of the bladderwort. 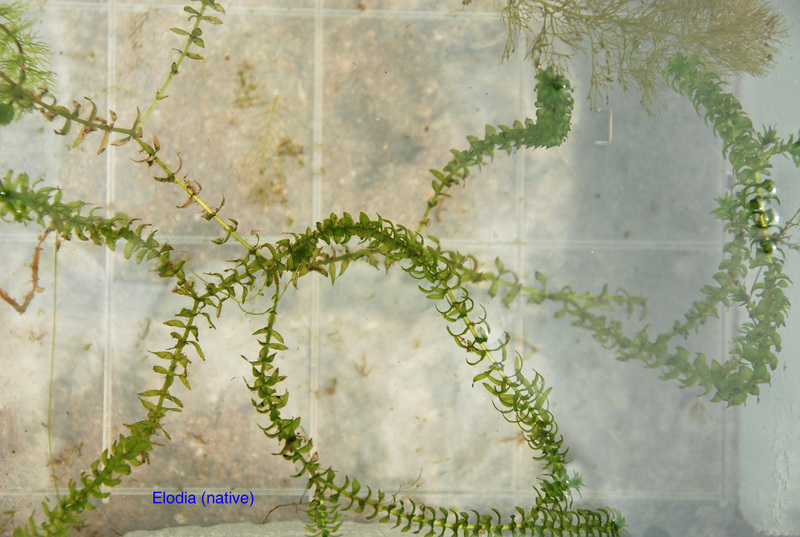 Elodea is noticeably different from either milfoil or bladderwort having more leaf-like foliage and smaller still than bladderwort. The size of these weeds can be estimated by using the grid pattern at the bottom of the tub of water in which they are floating – it is about 2 ½” square.